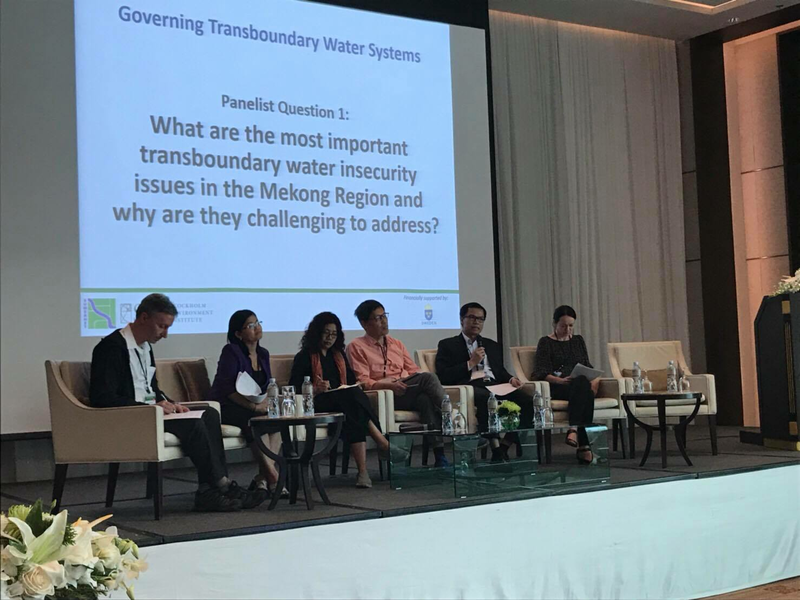 Sustainable Mekong Research Network (SUMERNET) Learning Forum was concluded this week in Bangkok with the participation of over 100 participants. The forum was aimed to gather researchers, boundary partners (policy influencers and policy makers), advisories and mentors who were involved in SUMERNET projects for sharing knowledge and lessons learnt from SUMERNET Phase 3 (2014-2017) and to discuss about policy-research interaction for its next phase “SUMERNET 4 All”. SUMERNET is a regional research network promoting scientific policy relevant research to influence policy decisions in the region which was initiated in 2005, at a time when its need was paramount. The region is undergoing rapid transformation, which in turn has increased the stress on natural resources and biodiversity questioning the sustainability of the region in the long run. Moreover, poverty and gender and social inequality prevailing in the region is standing in its way to achieve SDGs. SUMERNET has provided a platform for the researchers and boundary partners to work collaboratively, supporting them with resources and providing opportunities for capacity building to help deliver credible research to overcome these challenges and achieve sustainable development.The forum provided a platform for policy actors and researchers to discuss and debate on the needs for robust scientific research to influence policy and practices which will reduce water insecurities for ALL in the Mekong Region. The discussions were mainly under three research themes: 1) Water access, rights and allocation in times of scarcity 2) Governance and management of flood disaster risk, and 3) transboundary interactions with water systems. Climate change is real and impacts of climate change will be severe, pervasive and irreversible. As a result of the Climate Change, migration can be one of the main challenges that the entire world will face in the near future. 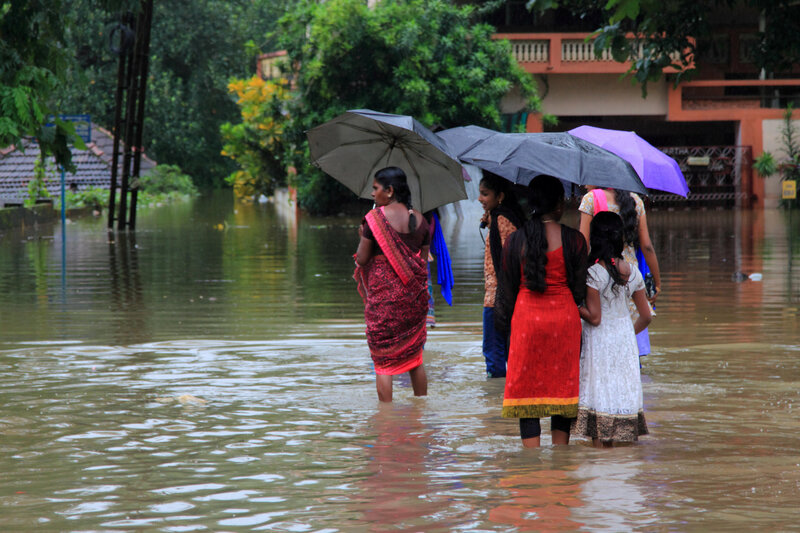 Many families including women and children are suffering due to environmental disasters some possibly induced by climate change. As reported by UNHCR, it is estimated that one person in every second has been displaced by a disaster and nearly 2.5 million people are displaced by climate or weather change related catastrophes since 2008. It is important to understand the seriousness of this issue and prepare and take necessary action to face climate change while addressing the issue of migration due to climate change. The term climate refugee or environmental refugee is a controversial in international system and its a very political phrase too. There is no internationally accepted definition for ‘climate refugee’ under international law. People who are migrating due to environmental reasons do not fall into a specific legal category under the existing international legal framework. The people who are identified as ‘climate refugees’ or ‘environmental refugees’ have no legal protection under 1951 Refugee Convention and asylum law. The principle of international environmental law, establishes that all States are responsible for addressing global environmental destruction, yet not equally responsible for addressing environmental protection. As a result, ensuring protection for affected people by climate change is challenging and it is hard even for the State to accommodate the legal protection for those people under the traditional international legal framework (IOM outlook on environment, migration, and climate change, 2014). Due to absences of a legal definitions for climate refugees or environmental refugees, International Organization for Migration (IOM) has presented a working definition for ‘environmental migrant’ in order to create a specific legal status for this particular group. It was presented to the IOM membership at 94th Council Session, the definition is “environmental migrants are persons or groups of persons who, for reasons of sudden or progressive changes in the environment that adversely affect their lives or living conditions, are obliged to have to leave their habitual homes, or choose to do so, either temporarily or permanently, and who move either within their territory or abroad” (World Migration 2008, 493). 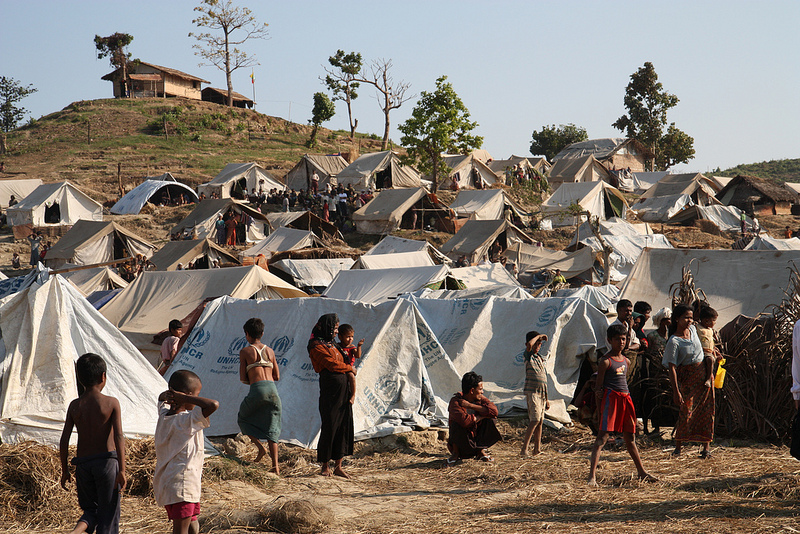 However, this article aims to provide an overview of climate change and existing regal protection for climate refugee in next section, as it is very important to understand the issue of climate change and its severe impact on migration in a holistic manner in order address the both short term and long term issues of Climate refugees. Recently several South Asian cities were under heavy smog. Several reports from Lahore and New Delhi claimed how severe the situation really was. The situation has been occurring for the last few years and has been growing severe each year. This year it made news again due to the related health concerns and several road accidents. 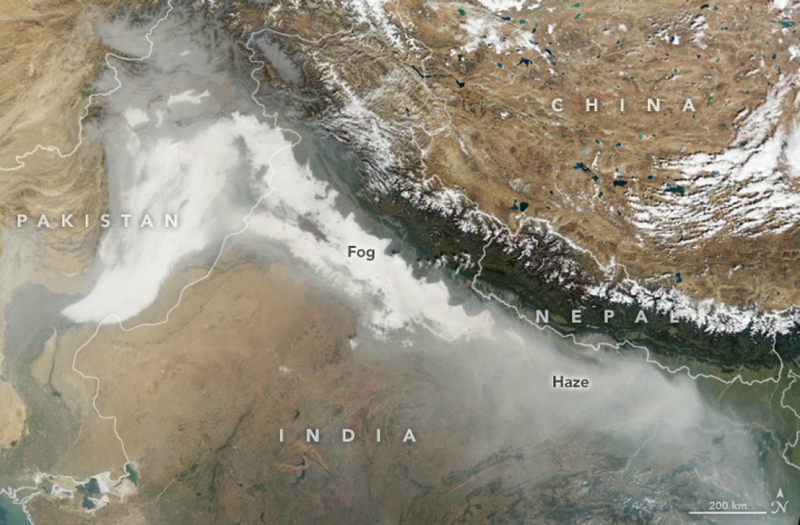 The satellite imagery released by NASA indicate an inverted V shaped smog cloud over India and Pakistan. This becomes a health hazard in many forms. Firstly, it is extremely harmful for the respiratory systems. The long term effects on children are yet to be determined since this occurrence has a history of few years yet fast growing in terms of concentrations.There has been on average more than 100,000 smog related deaths in both India and Pakistan last couple of years. The recommendations from doctors have been to leave the cities. But this is not a viable solution. There are many active groups who are working on creating awareness. Rather than long term solutions most of the discussions seem to be on the preventive measures. This has sparked criticism within youth because they feel there is inadequate commitment from the people as well as the governments to reduce the emission levels. To get a quantitative measure of this situation we looked at couple of reports, A U.S. embassy measure of tiny Particulate Matter (PM) of 2.5 showed a reading of 608 at 10 in the morning when the safe limit is 50 in New Delhi. In Lahore, this amount has been 1077 mg/m^3 during another measurement. PM or Particulate Matter 2.5 is a measure of coarse particles which are the lower limit of the coarseness range but yet inhalable and harmful in larger concentrations like this. A Lahori residen talked to us about alarmingly poor visibility which slowed down economic activity significantly in the city during the last week. We observe that a large contribution of emissions comes from biomass burning and stubble burning. Biomass burning starts as the cold weather approaches and stubble burning takes place in farms to clear out the fields before cultivation. Both These activities occur closer to winter and therefore there is significant accumulation of emissions. The landlocked geography of both cities Delhi and Lahore magnifies the impact where the sea breeze is not present to flush out the contaminants. Therefore, there needs to be significant strides towards concrete policies related to crop/biomass burning activity in the region in coming years. In the short term, more responsible measures should be reintroduced to mitigate loss of life. When the term carbon tax appears on a country's budget for the first time, sometimes people get confused because they are usually already burdened with many forms of taxation. This might be the case with Sri Lanka this week. There were several statements on the social media asking “What is this carbon tax?” after the budget presentation 2018. The story of carbon tax is related to the greenhouse gas(GHG) emissions across the world which is driving the global warming potential. Many of the GHGs are carbon based (CO2, CO, CFCs and Methane) and therefore, the discussion is centered around the term “Carbon”. 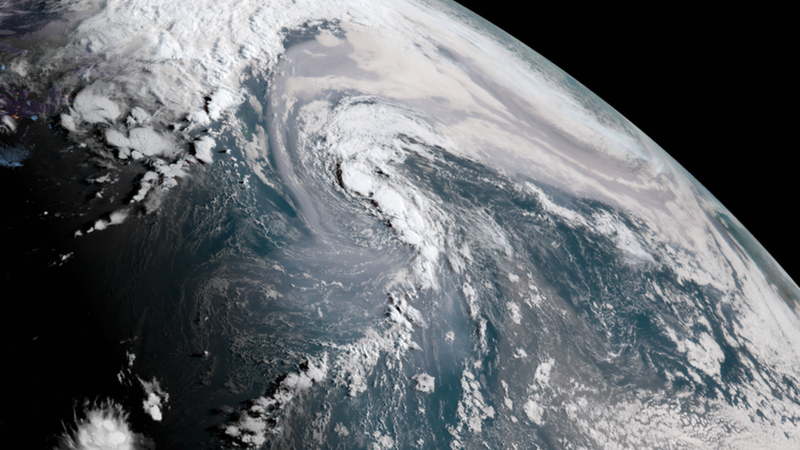 The physical effect of CO2 and the other GHGs in the atmosphere can be measured as a change in the Earth-atmosphere system's energy balance. Carbon taxes are one of the policies available to governments to influence reductions GHG emissions. Currently many conversations around the implementation of the climate agenda highlight that putting a price on carbon is essential for the success in the international response to climate change. Therefore, many interested parties are in the lookout for the new initiatives related to carbon pricing. During a panel discussion at COP 21 in Paris in 2015, it was mentioned, “China has seven pilot emissions trading systems, and has announced its intention to launch a national system in 2017” and the recent news states this has been pushed to December 2017. 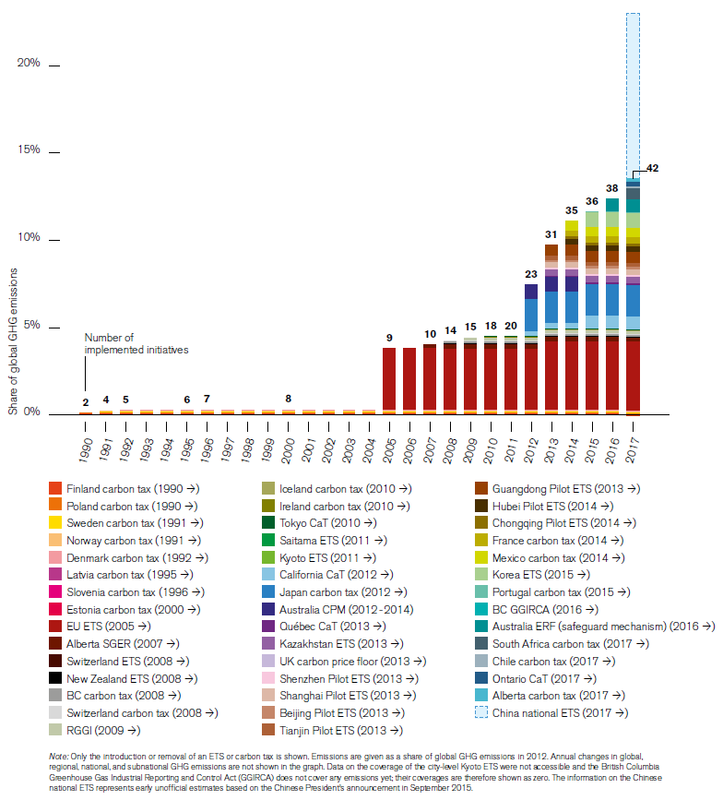 A World Bank Group report "Carbon Pricing Watch 2016" provides further information about key developments and prospects of existing and emerging carbon initiatives. If you refer the UNFCCC website, it also shows examples of how the carbon taxes are applied in few cases. The above image also explains how the tax procedures contribute from various locations across the world. The world is looking at large polluters to take strong measures in taxation to influence the reductions of emissions. However, in Sri Lanka's case the taxation applies to fossil fuel based vehicles and Sri Lanka also plans to phase out fossil fuel based vehicles by 2040. It is important to note that current emissions from heavy vehicles are not yet properly regulated in Sri Lanka. 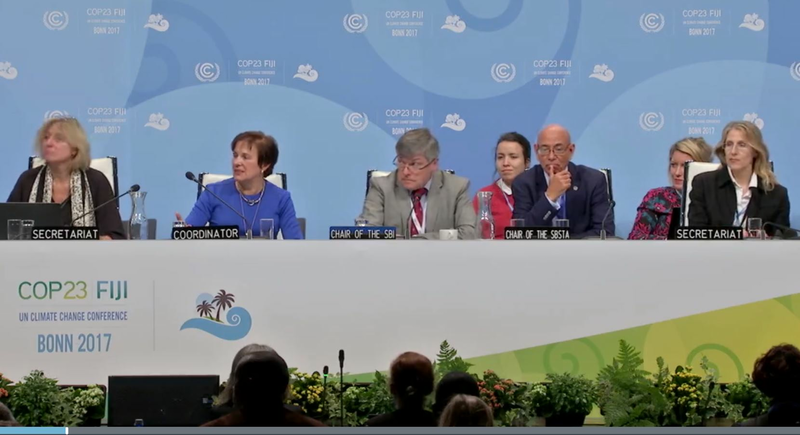 During the first day (6th November) of COP 23 in Bonn a panel lead by Cornell University's Dr. Johannes Lehmann discussed about the soil carbon and its relation to food security and several other global concerns. Kicking off the conversation the panel members pointed out that there are high volumes of carbon in the soil than in the atmosphere and the vegetation combined. Therefore, it has become “the elephant in the room” as Dr. Lehman points out. Every 7-8 years the carbon in the vegetation cycles through the soil and gets back to the vegetation. The increased carbon in the soil is expected to mitigate the carbon stored in the atmosphere which is a very important factor here in the implementation of the climate agenda. There multiple reasons why this topic is important, in food security, national resources, reduction in migration lead political instability and pollution hazards. Soil carbon is seen in rapidly degrading agricultural landscapes in eastern Africa. Losses are seen as a result of the deforestation and continuous agriculture. The panel pointed out that if the soil is well managed 2-3 times of organic carbon is coming in to the soil. Therefore, it is possible to achieve higher carbon in the soils. When 1% of the land is covered with the soil type that they desire (managed dark soil) they see 26% of the food consumption and 24% of the household income coming from that soil and therefore, the carbon management is effective. Can this be achieved by traditional soil management? Which is one of the major tasks ahead. 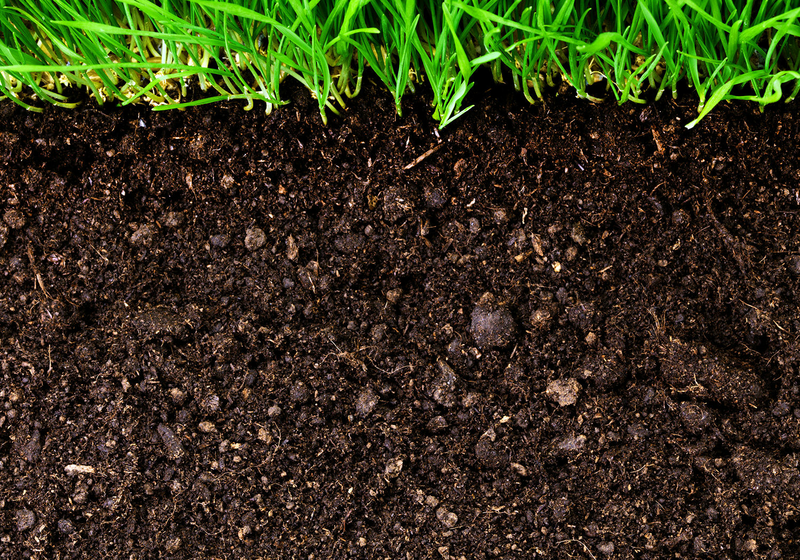 Secondly, scientists have indicated ‘low certainty’ in the ability to manage soil. Rather than attributing to uncertainty, Dr. Lehmann points out it is the variabilities that present the challenges than the uncertainties. To deal with the variability, better models and better remote sensing data acquisition are proposed. The technologies are becoming cheaper and therefore, there is no excuse that the soil management and monitoring is not possible. In conclusion, the panel pointed out that food security interventions contribute to climate change mitigation with high soil carbon benefits of around ⅓. If you further look into the different inputs from the experts around the world on this matter there are both pessimistic and optimistic points of views about the targets set forward by the Paris climate agenda. With there being around 8000 rare diseases 1/17 of us may have one, ‘By 2020 almost half of Britons will get cancer during their lifetime’-Macmillan.org. This may call for greater investment in the 100000 genome project. Sometimes when things happen to families, when their lives have been torn apart, they like to have some answers as to how and why they had to undergo what they had to go through. 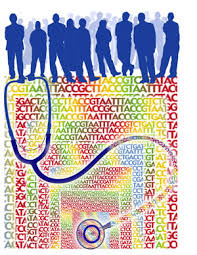 Having a better understanding of rare diseases and cancer via genetics enable us to provide these much needed answers. UNFCCC COP 23 kicked off in Bonn, Germany today(6th November). From a science-policy perspective we were interested in the joint plenary meeting of SBSTA and SBI held today. The SBI and SBSTA are the two permanent subsidiary bodies to the convention established by the COP/CMP. They support the work of the COP, the CMP and the CMA through the assessment and review of the effective implementation of the convention. During the session several member states representing coalition parties presented their statements. We will summarize few points raised here. Science policy is becoming a highly applicable and highly appreciated area of practice. Dr. Keith Yamamoto, the vice chancellor for science policy and strategy at UCSF, describes science policy work as, “any pronouncement… on science education, practice, ethics, communication, application, or social impact”. With the climate change, increasing population and other challenges to life on earth, the scientific evidence based decision making is becoming more and more relevant. Establishment of science policy processes is also important in determining the budgets for communities regardless of the economic standing of the country. Data and measurement are important aspects in strengthening the bridge between science and policy. This includes data generation, storage, protection, sharing, citation, and utilization, the accessibility, management of resources and standards, and accurate interpretation. Furthermore, experimentation with metrics based on new tools and data, and implementing innovative ways of using existing data to provide insights into emerging areas of policy interests is required in all sciences. Intellectual property rights create an interface between other policy concerns like traditional knowledge, institutional research, health and economics and therefore, play an integral part in science policy decisions. Currently the science policy is mostly dominated by lawyers and politicians. Although they are capable of formulating and communicating policy, most of them do not have a background in science. Therefore, they have a little ability to capture the changing climate in science. Without capturing the changes in science (which in some fields are quite rapid) the policy decisions they make would not be optimum. Few scientific establishments have already recognized this requirement however, the focus on the developing countries and many processes is still inadequate. 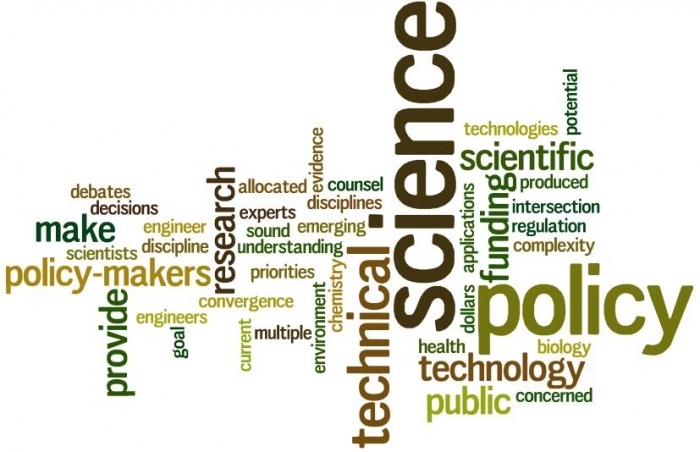 Therefore, SciencePolicy circle wishes to strengthen science policy linkage mechanisms and engage practitioners to generate knowledge and take action in communities. The science-policy interface has also become increasingly important within the UN system. It provides the foundation for evidence-informed policies, facilitates the use of science, technology, and innovation (STI) as enablers in the implementation and review, and provides a scientific lens into monitoring impact.